Ink is generally not considered a poisonous substance. Under normal use, ink poisoning is unlikely. Irritation is a bigger possibility than poisoning is. Ingestion of ink is the most common method of ink poisoning. Because ink is a relatively safe substance, a small amount of ink in the mouth should not cause poisoning symptoms. Usually poisoning results from the ingestion of large amounts of ink. Even when ink poisoning does happen, it usually is not fatal. If ink gets into your eyes or on your skin, it may cause a burning sensation, itching or irritation. The best treatment for ink in the eyes or on the skin is to rinse the eyes or skin thoroughly with cool water. Use a generous amount of water and continually rinse your eyes or skin until the ink is rinsed away and you no longer feel discomfort. The ink may temporarily stain the whites of your eyes, skin or mucous membranes (inside your nose or mouth). It is unlikely for ink in the eyes or on the skin to cause long-term or permanent symptoms complications. See a doctor if you have blurred vision or if irritation persists after you rinsing. Ingestion of ink is the main cause of ink poisoning. 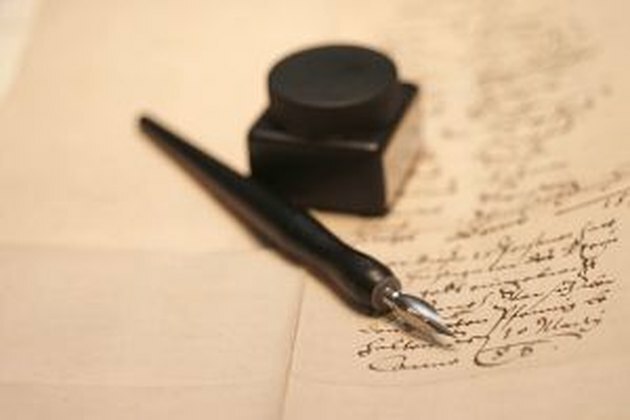 According to Medline Plus, a service of the National Institutes of Health, "Large amounts of writing ink must be consumed (more than an ounce) before treatment is needed." In the event that a large amount of ink is ingested, call emergency services or your local poison control center for advice. Do not induce vomiting unless suggested by a licensed medical professional. Even though ink poisoning is possible when significant amounts of ink are ingested, the prognosis is good. Medline Plus rates pen ink as non-poisonous and suggests that the "recovery is very likely." The symptoms of poisoning from ingestion of ink may include nausea and staining of the tissue inside the mouth. The FDA regulates pigments used in cosmetics, but has not approved any inks for injection into the skin. The issue of permanent makeup and tattoo ink safety is further complicated by the fact that many different types of ink are used. Some inks contain pigments that are approved for cosmetic use in topical cosmetics. However, some permanent makeup and tattoo inks contain automotive and industrial ink paints. The FDA is studying the safety of injected inks for human use and is documenting reports of adverse reactions associated with the use of injected inks. Until more is known about the safety of injected inks, your best solution is to ask your cosmetologist or tattoo artist about the ingredients in the inks they inject into your skin. Inks that contain pigments approved for topical cosmetic use are more likely safer than inks that contain industrial and automotive paints, which are not approved for use on the skin.